Last week a friend of mine passed on to me an OT question from his son. The question concerned the apparent contradiction between Jeremiah 7:31 and Genesis 22. I responded to that question in a previous post. You will notice that the question I am addressing doesn’t pose a challenge just for Calvinists but also for Arminians. If you’re not familiar with those categories then suffice it to say that the problem I am addressing is a challenge for anyone who believes that God knows what is going to happen in the future, that is, that he knows what will happen or that he knows not only all possibilities but also which ones will be actualized. This question has a short answer and a long answer. The short answer is the conventional answer that has generally been given by the church, the long answer is the response to open theology. I’m going to give the short answer here and put the long answer off until next week (or later). Here’s the short answer (relatively speaking). And then there are plenty of places where God seems to predict things that are going to happen (e.g. 1 Sam 2:34 where God says that both Eli’s sons will die on the same day). For me, the most important texts are more subtle and they are texts like the second part of Isaiah where a crucial part of Isaiah’s argument revolves around the plan of God and God’s ability to carry out his plan vis-à-vis the false gods’ inability to do so. In this section (Isaiah 40-55) Israel is in captivity in Babylon which means the Babylonian gods have ostensibly overpowered the God of Israel. But the argument here revolves around God making it clear that these are no gods at all, this is all a part of his eternal plan. God has a purpose that he instituted from the beginning of time and he is carrying it out. There is no error, there is no sidestepping, God is in complete control and his plan will succeed. In other words, because of those kinds of passages where the argument of the text relies heavily on God’s foreknowledge of actual events and how they will come to pass I think we have fairly good reason to say that God does know the future in specific detail, whether that means he predetermines all that will happen or he knows all possibilities and knows which will be actualized, or whatever permutation you hold to within classical theology. That brings us back to Genesis 22. At this point we will leave much for the longer discussion but for now I will only point out that in the testing of Abraham it is not necessary to the effectiveness of the test that God finds out something new. The test can be effective simply because Abraham experiences it. In other words, Abraham is most certainly affected by the test which shapes and proves his faith in God. As a result of having been tested, Abraham is now able to have the covenant confirmed with him yet again. 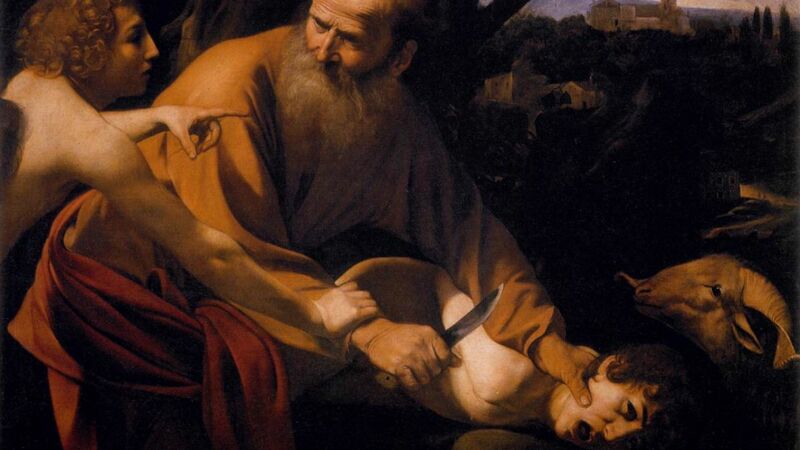 This, by the way, is a sort of climactic moment in the Abraham narrative where the survival of the seed is at risk. Now God himself is apparently threatening its survival. But is it God? Or is it the faithfulness and righteousness of Abraham? In this final test, Abraham’s faith and righteousness are shaped in a way that brings closure to his narrative section and sets up expectations for the rest of the book in terms of the survival and the righteousness of the seed. It’s important to always keep in mind the literary purpose of the passage in its context. But we still have one problem. Namely, God says, “and now I know.” This is really the main problem in the text. If God says, “now I know,” does that mean he didn’t know it before? Some people make this out to be the insurmountable evidence for God’s lack of foreknowledge. That simply is not the case (see next post). There is absolutely no reason that this cannot be a figurative way of speaking. The text is communicating something true about God, namely that his reaffirmation of the covenant with Abraham is based on Abraham’s faithful response to the test. In other words, God’s action is (in some way) a reaction to Abraham’s action. The fact that God’s action is in some way a reaction to Abraham is not necessarily inconsistent with God’s knowing ahead of time what choice Abraham would make or even with God predetermining his action. God’s action is a real reaction but that does not necessarily make it contingent. Basically, here’s what I’m saying. When the text records God as saying, “and now I know,” it is communicating in natural language the fact that God’s reaffirmation of the covenant that follows is a response to Abraham’s reaction to the test he was given. It is not communicating the fact that God now knows but previously he did not know. That means I am understanding this to be a figure of speech and I am taking it to be a true statement in one sense and an untrue statement (not really untrue but a figure of speech) in another sense. Is that a satisfying response? The fact is, there is more to know about how language works and especially, in this case, how metaphor works. The question is—what is the justification for taking one part of the statement as true description of reality and the other part as false? But the answer to that question gets us into the issue as proponents of open theism have raised it and it deals specifically with metaphor and how metaphor works. But that part of the question will have to wait for the next post. So tune in next time (two weeks) when we talk about metaphor, mimesis, isomorphism, and maybe even isomorphic projections. Isomorphic projections in a theology discussion? Yes—and light, too.